We have a range of rooms to choose from at Desota House. All of our rooms are en-suite and are equipped with flat screen TV's with cable. They also contain a personal safe, tea/coffee making facilities, complimentary toiletries, extra pillows and mini fridge. All of our guest are provided with breakfast which includes a continental style buffet and a cooked breakfast menu served in our main dining room. our single rooms contain either a double or single bed and are all ensuite. Our double rooms all are equipped with comfortable double beds and are en-suite. Our twin and triple rooms provide separate beds for all guests. 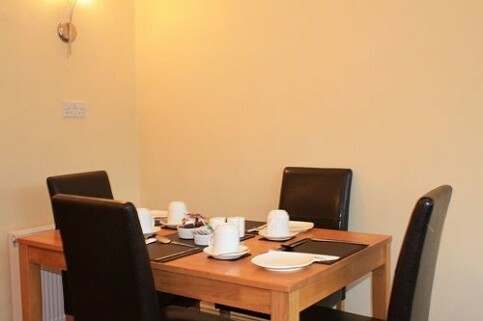 Our family rooms cater for 2 adults and 2 children providing one double for a couple and 2 other separate beds. Our spacious superior double room features a King (6ft) Size bed and a large en-suite.